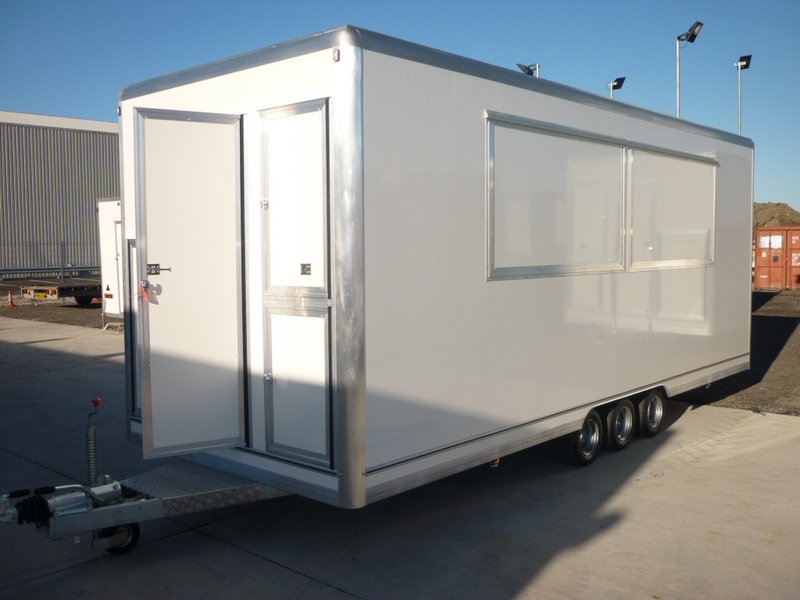 Best described as a plug and play kitchen, the Sprinter makes an ideal temporary kitchen for events, emergencies and smaller catering requirements. The Sprinter is a tow-able, easy in easy out solution, perfect for when space is at a premium or site access is difficult. Cost effective delivery and collection also make this rental kitchen good value for money. The versatile interior can be tailored with any required catering equipment needs, ensuring an optimal working area for the professional caterer. 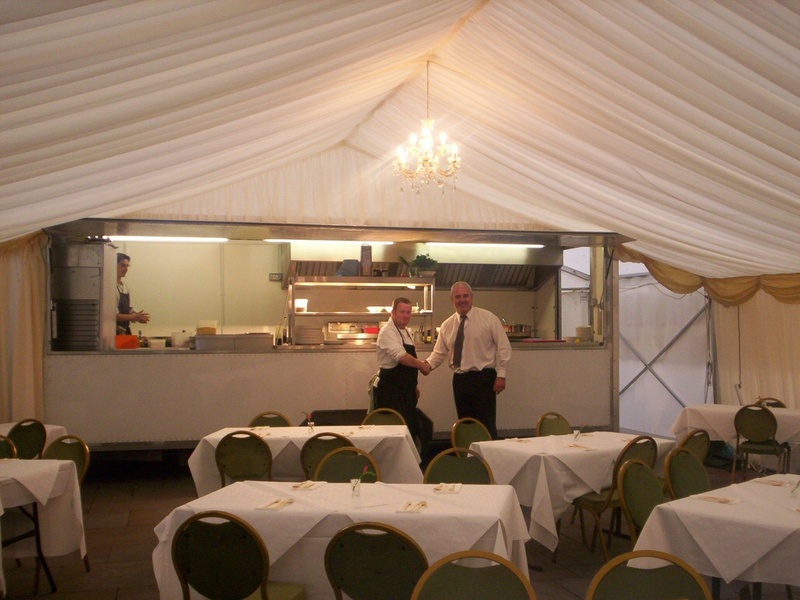 It has been designed to suit all smaller catering facilities from rest homes to event catering. The Sprinter is of course an ideal events kitchen, designed to offer takeaway food from a serving hatch, but its flexible, easy manoeuvrable nature makes it suitable for many more applications. Another common use for the Sprinter is to allow pubs to continue to supply food whilst their kitchens are being refurbished, either as a planned refit or as an emergency kitchen following a fire or flood. 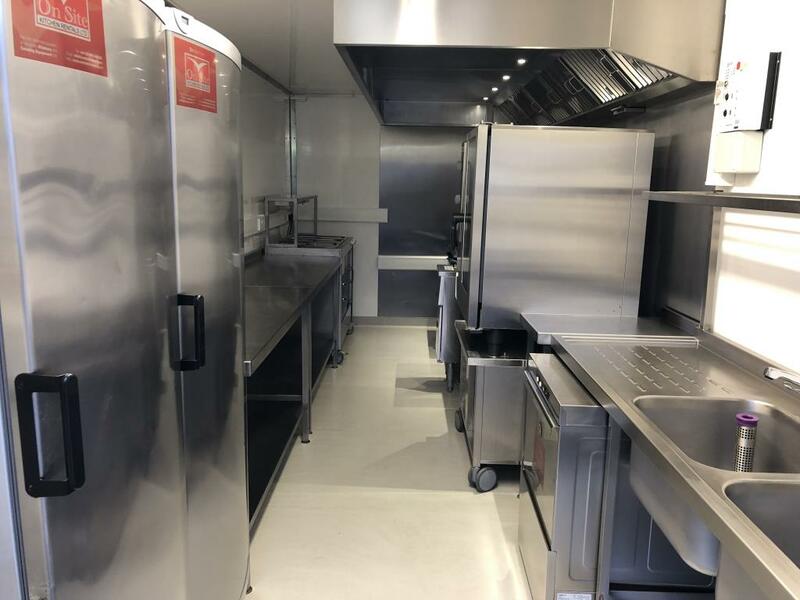 We have also worked with a number of rest home groups to utilise the Sprinter as a temporary kitchen during refurbishment of existing facilities up and down the country. This led to us creating a purpose built specification and optimal layout for a rest home environment that could be deployed quickly and immediately meet the needs of the catering staff. More unusual applications include providing catering for TV and film cast and crew and use as a demonstration kitchen for TV and radio cookery roadshows.